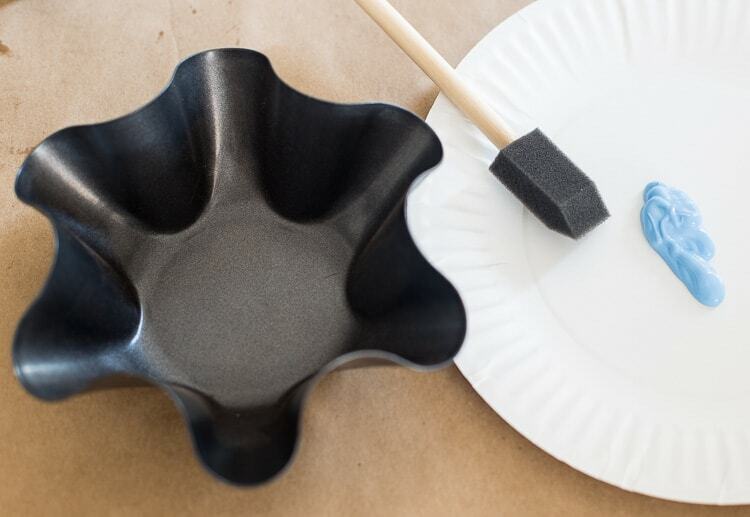 This cute Garden Metal Flower is made from a thrift store brioche pan. 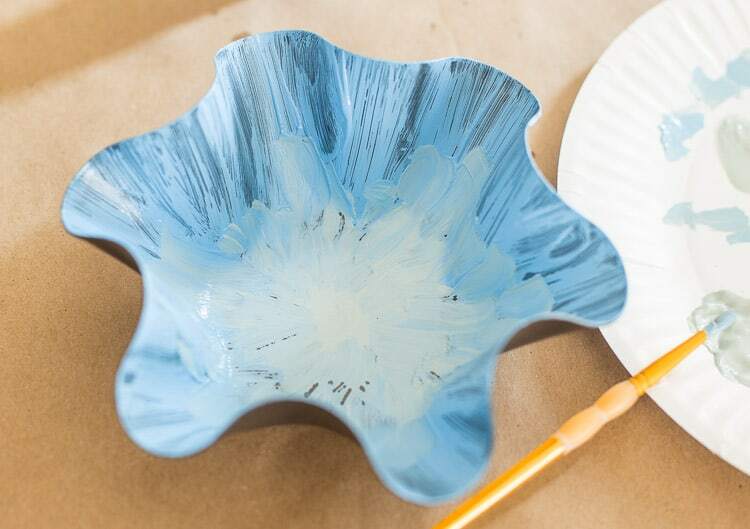 Some paint and a garden stick transformed it into a flower perfect for your garden. I found this brioche pan at the thrift store. When I found it, I wasn’t even sure what it was for. Good old google helped me figure it out and now I feel like I need to tackle a brioche recipe now. 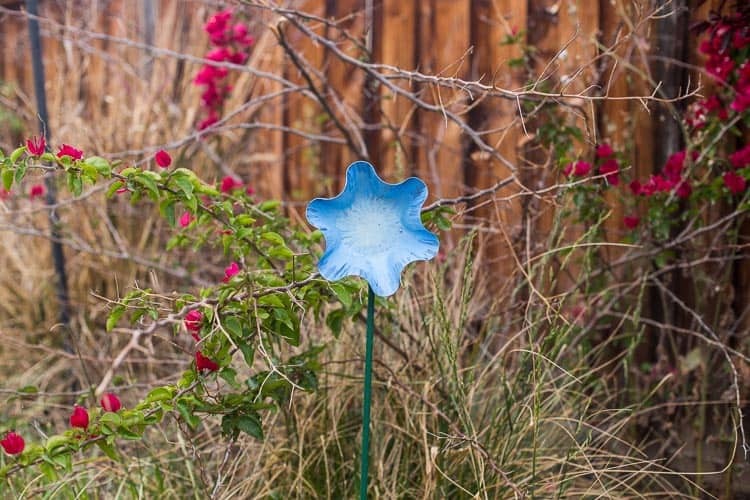 It had a beautiful shape that reminded me of a flower, so why not turn it into a metal garden flower? So I grabbed some outdoor acrylic paint and went to work. 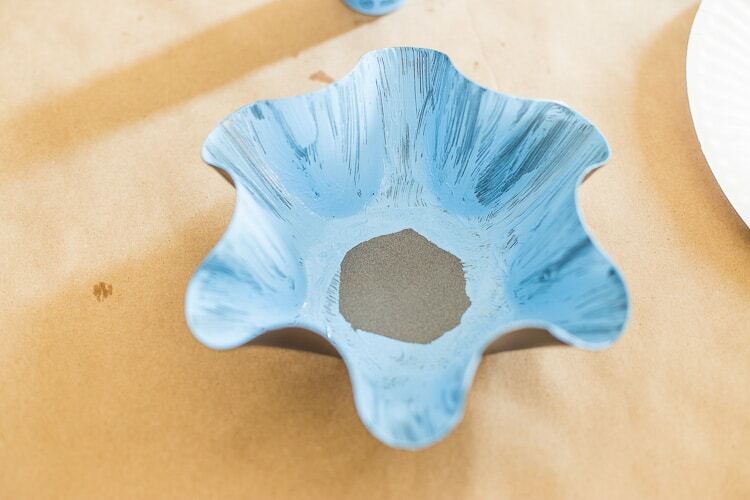 I used a beautiful blue for the outside petal areas. The paint didn’t cover completely. I though I might want to do a second coat, but I really like the metal showing in the end. While the blue was still wet I started adding the light green to the center of the flower, gradually blending it outward. I just kept adding and blending until I got the look I wanted. The green stem I picked up from Home Depot in the garden section – just a stake. I used a strong adhesive to glue it to the back of the flower. I makes for a cute addition to our backyard! 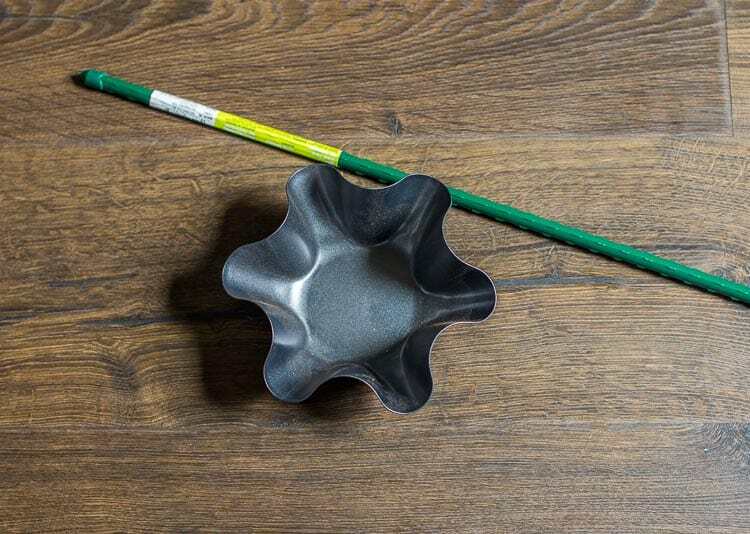 So next time you’re in a thrift store keep your eyes open for a brioche pan so you can make a garden metal flower too. Now check out these great project from the rest of the team! This was fun….I made a couple of décor additions…I had some small glass colored stones….I glued them in the center of the flower and around the edges…so cute! I also made one using junk jewelry! This is so stinking cute! I have a bunch of these sitting in my cabinet from my grandmother. Thanks for the idea! 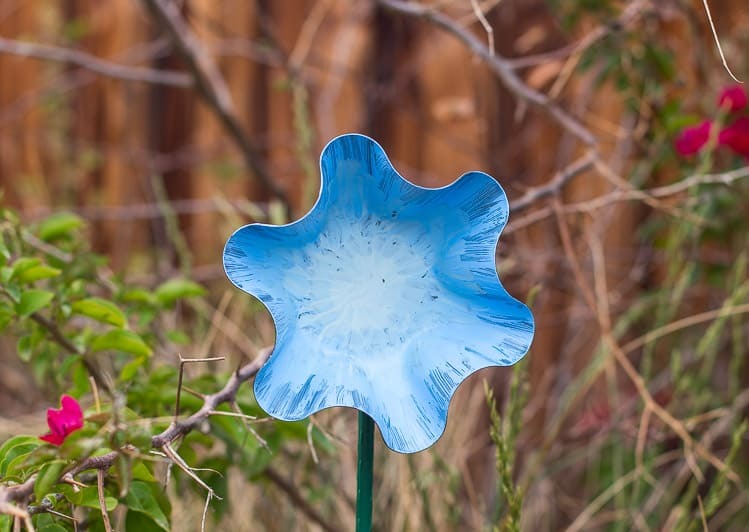 How cute is your garden metal flower Maryann!